Finally, finally I got around to making these beauties. I've wanted to make these for a few years now. Yes, you heard me, a few years. See, here's something I have to admit. I have a 'must try' list of recipes that gets longer with time and I can barely decide which one to make first. So finally, while juggling with all of what life has to throw at me, I got around to make these cookies. See, here's the thing. I've sorta lost my baking mojo recently. But, I'm glad to say that has changed with these cookies. I just woke up one day and decided that I was going to make them. They were really easy to make. I stuck to the recipe, or atleast that was the intention, but as luck would have it I didn't have the light brown sugar that this recipe calls for. I thought I did, but what I had was 2 packets of dark brown sugar. 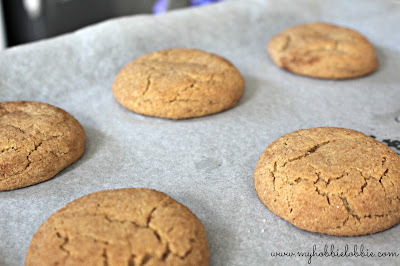 I was dead set on making these cookies and I wasn't going to let the brownness of the sugar get in the way :) That is why these cookies don't look like the typical Snickerdoodles, but I'm sure that had no impact on the taste. These cookies were really good. I'm so happy that I finally got around to trying them out. They outer crust was perfect and cinnamony (pretty sure I just made that word up) while the inside was light and pillowy soft. Go ahead and try it out. It is a recipe that's perfect for the holidays. I had almost forgotten how good it is to bake at home. Nothing compares to home baked goodies. Having found my absconding baking mojo, I hope to bake a few more yummies soon. Line a cookie sheet with some parchment paper and set aside. You could use a silicone mat if you have one. Beat the butter and sugars till light and fluffy. Add the egg, egg yolk and vanilla and beat again. Scrape down the sides while you're mixing the dough. Add in the baking soda, cream of tartar, salt and 1 tsp cinnamon powder and mix well. Add the flour and mix it slowly only till just combined. In another small bowl mix the sugar and cinnamon powder to make the cinnamon sugar and stir till well combined. Using a cookie scoop or a spoon, measure about 2 tbsp of the cookie dough and roll into a ball. 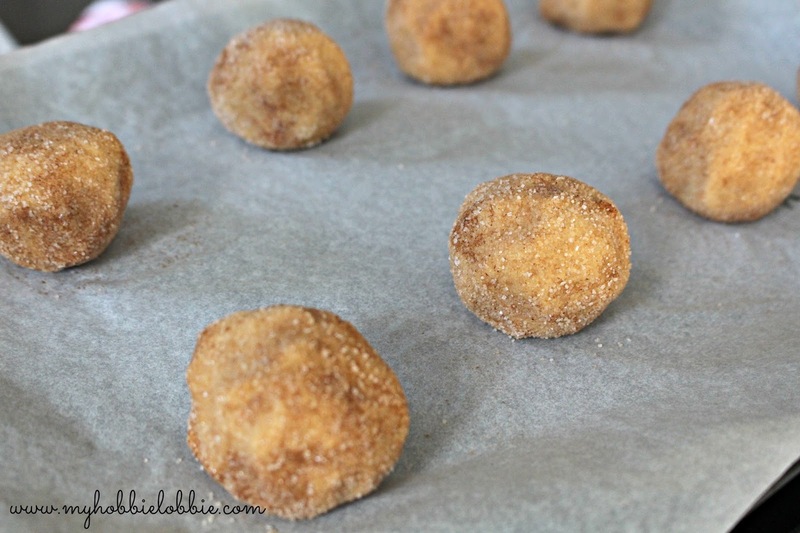 Roll the ball in the cinnamon sugar mix and place on the prepared cookie tray. Place the balls about 2 inches apart on the tray. Bake for 10 minutes or till the edges are slightly golden. The centers may seem undercooked but they will set as the cookies cool. If you like your cookies crisper then bake for an additional 2 minutes. I baked them for 10 minutes and the cookies were perfect. Snickerdoodle looks delicious, thanks for sharing with Hearth and soul blog hop, pinning, tweeting and featuring on this week's hop. Love Snickerdoodles! I occasionally lose my baking mojo too. I'm so pleased when it comes back! Thank you for being a part of the Hearth and Soul Hop.